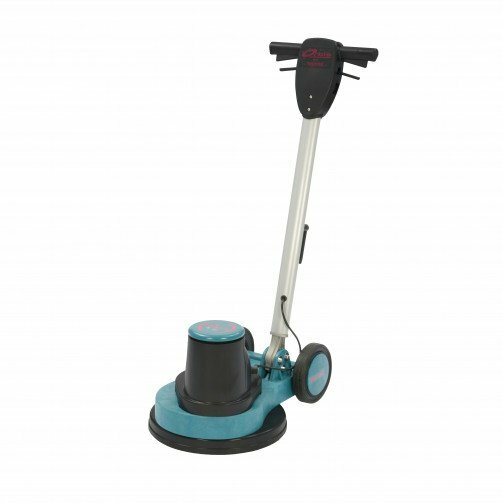 Truvox Orbis rotaries are a single disc machine that offer exceptional handling and a cost effective solution for cleaning and polishing hard floors. This model is 200rpm (standard speed) and comes with a 15' base plate. An ergonomic handle design assures comfort whilst putting all controls within easy reach. An offset motor gives superb balance and precision control of the machine and dual safety interlock buttons provide the safest possible operation by left or right-handed users. A decoupled drive module eliminates vibration and allows a mechanical soft-start. Single disc rotaries available in 200rpm, 400rpm. Single disc rotaries have optional solution tank for wet scrubbing. Warranty- 2 year subject to conditions.